Travel-Tot: Bites and Stings: Helpful Tips! Bites and Stings: Helpful Tips! With summer in full swing, families and, especially, children are spending more time outside, but we're not the only ones enjoying the warmer weather; spiders, bees, and a variety of other bugs are out in swarms! 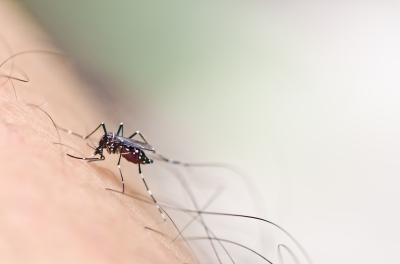 Most bug bites simply result in general discomfort and anxiety, but it is important to remember that some bites and stings can lead to infections or trigger serious allergic reactions. Below is information on how to treat simple bites and stings, as well as the signs that a serious reaction may be occurring. Know your spiders: The majority of spiders found in the U.S. are harmless, except brown recluse and black widow spiders. The brown recluse spider (a small brown spider with a small violin-shaped mark on its back - see here) is found primarily in the midwest and south. Their bites can cause swelling and changes in skin color and blistering. Rarely, brown recluse bites can result in sunken ulcerated sores at the bite site, which can become infected if not treated properly. The black widow spider (a shiny black spider with an orange hourglass shaped mark on its underside - see here) is found all over North America. Black widow bites can result in painful cramps within a few short hours of the bite; the cramps generally radiate from the bite location outward. In addition, black widow bites can also cause nausea, tremors, paralysis, vomiting, chills, fever, and muscle pain. If your child experiences any of these symptoms (or if you suspect the bite may have been caused by a black widow) go to the emergency room IMMEDIATELY. Clean the area carefully with soap and water. To help prevent infection, apply antibiotic ointment. For itching, give an over-the-counter oral antihistamine (with your doctor's approval); follow dosing instructions for your child's age and weight. You could also apply calamine lotion to the sting area. the sting is in the mouth, throat, or lips - such stings can quickly result in severe swelling that can block airways. a rash or swelling develops around the sting site. Know your ticks: The most common types of disease carrying ticks are dog ticks, deer ticks, and lone star ticks; deer ticks are the most common carriers of Lyme disease, and dog ticks and lone star ticks can transmit Rocky Mountain Fever. Particularly during summer months, it is imperative that parents routinely check kids and pets for ticks, especially if they've been in or around wooded areas. Use sterilized tweezers to grasp the tick firmly at its head or mouth, as close to the skin as possible. Pull firmly and steadily on the tick until it releases (avoid twisting or yanking the tick). If possible save the tick for identification purposes. Clean the bite site with alcohol. NEVER use petroleum jelly or a lit match to try to kill or remove a tick. Using either may cause the insect to burrow deeper which makes extraction more difficult and increases the possibility of disease transmission. For itching, apply calamine lotion to the bite area. Safe, happy, and healthy travels! Sunscreens: What to Look For!